Our innovative Pebbles rug is custom-made out of a beautiful rope from the luxury yachting industry. The pile, backing and edging of this product is UV stabilised as well as being water, mold and chlorine resistant. 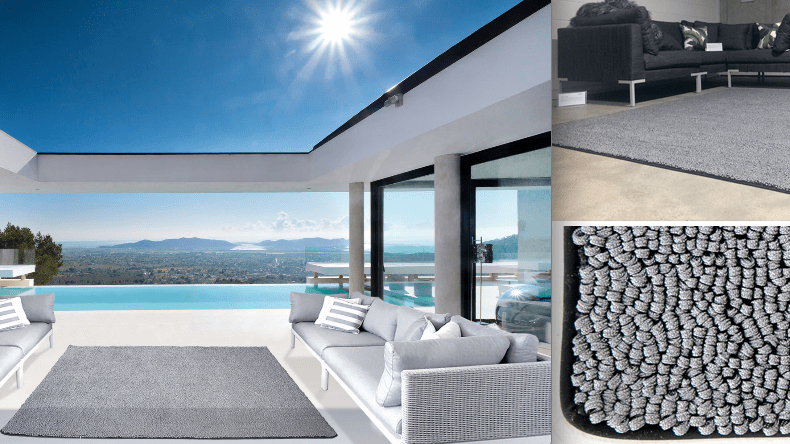 Whether around the pool, in the kitchen or on the yacht, our outdoor Pebbles rug makes for a spectacular and functional addition to any design scheme.